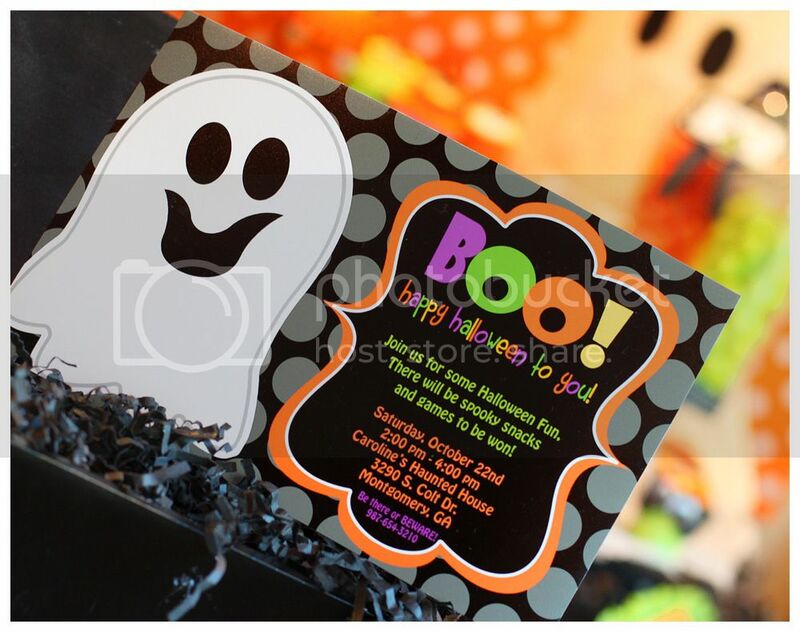 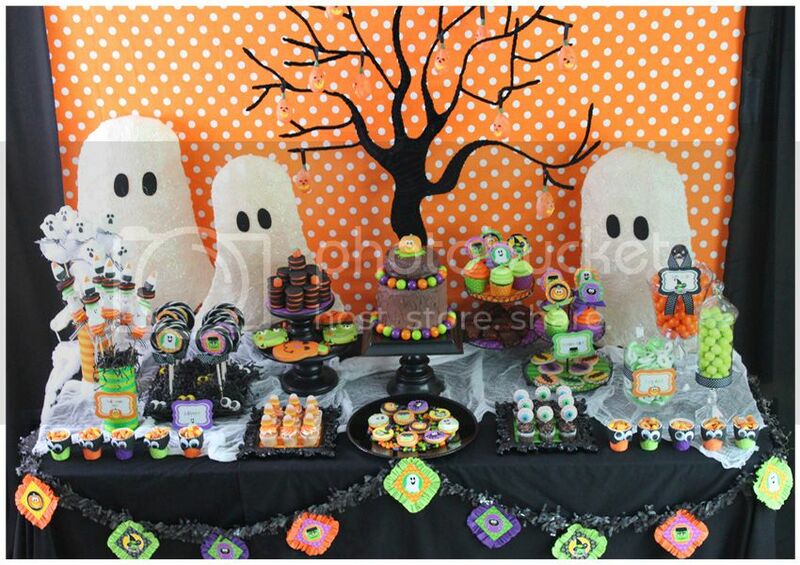 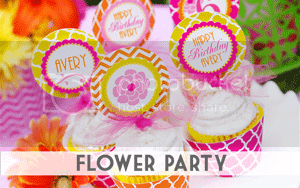 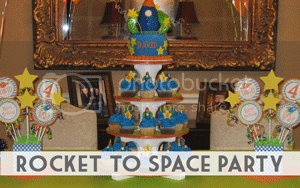 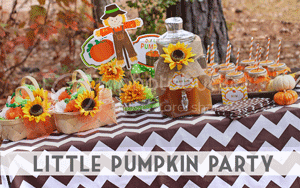 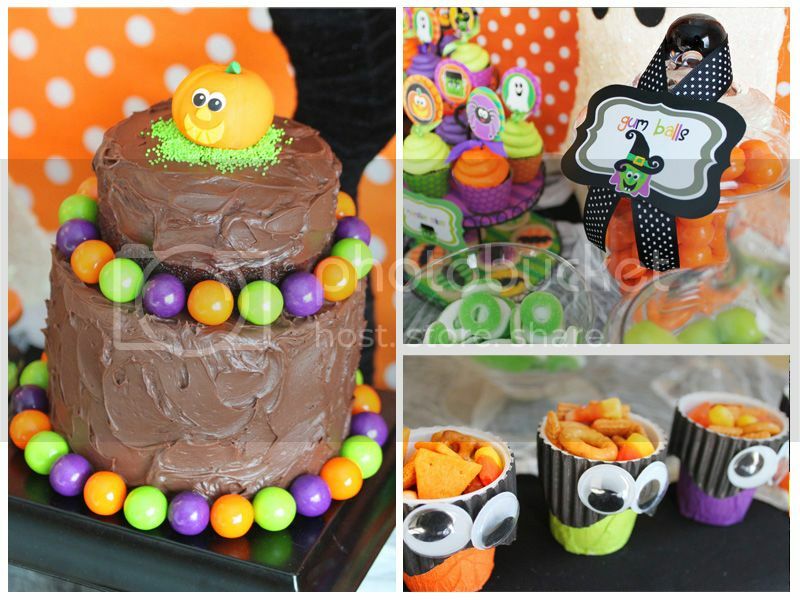 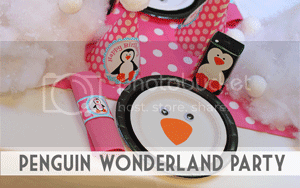 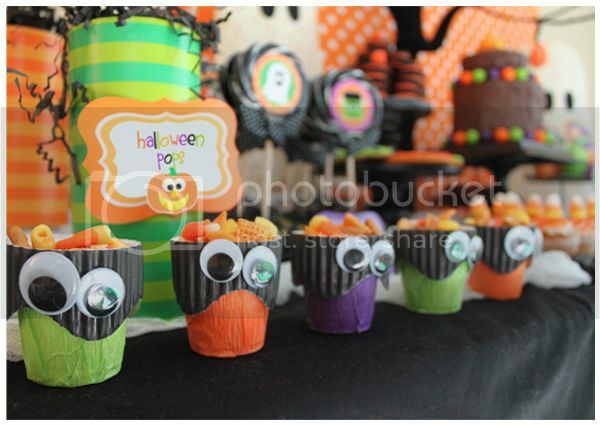 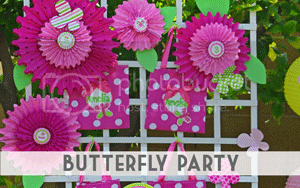 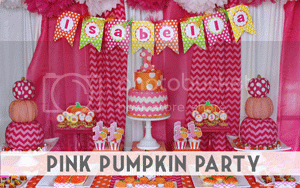 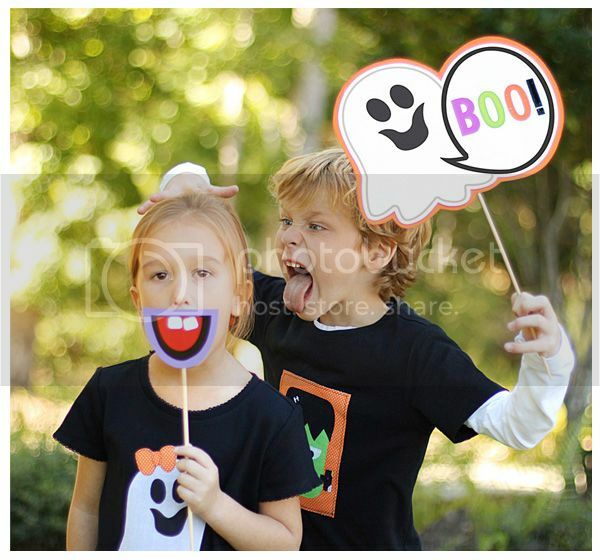 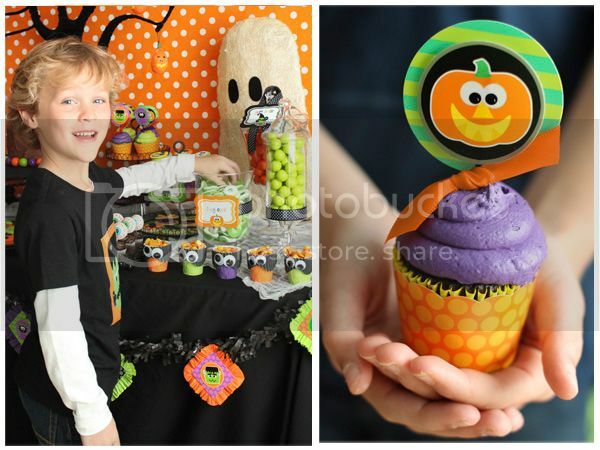 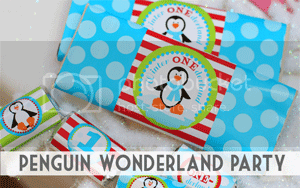 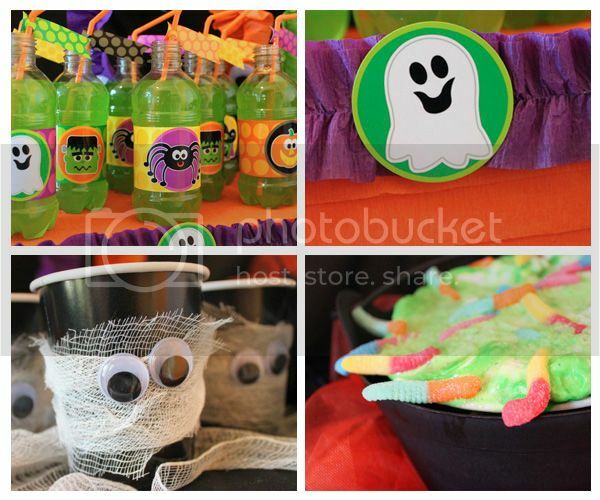 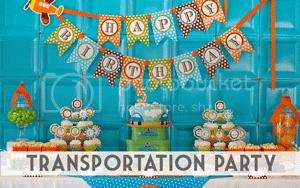 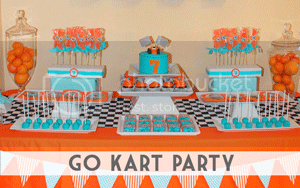 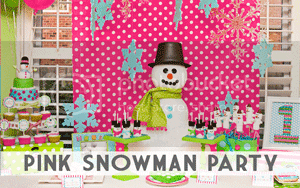 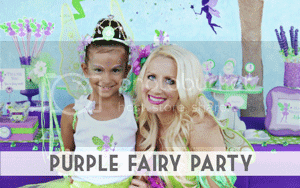 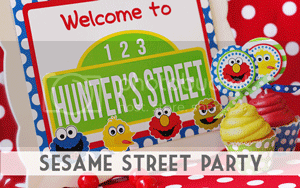 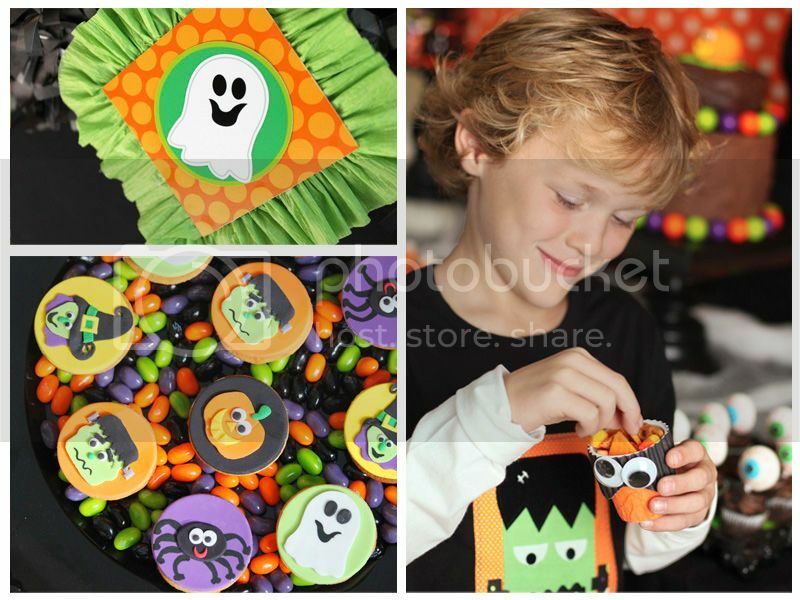 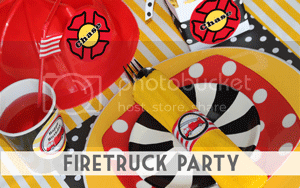 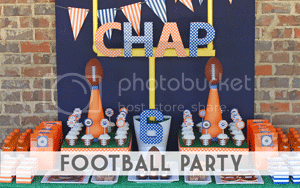 Amanda's Parties To Go has a fabulous little Halloween set that is full of FUN! 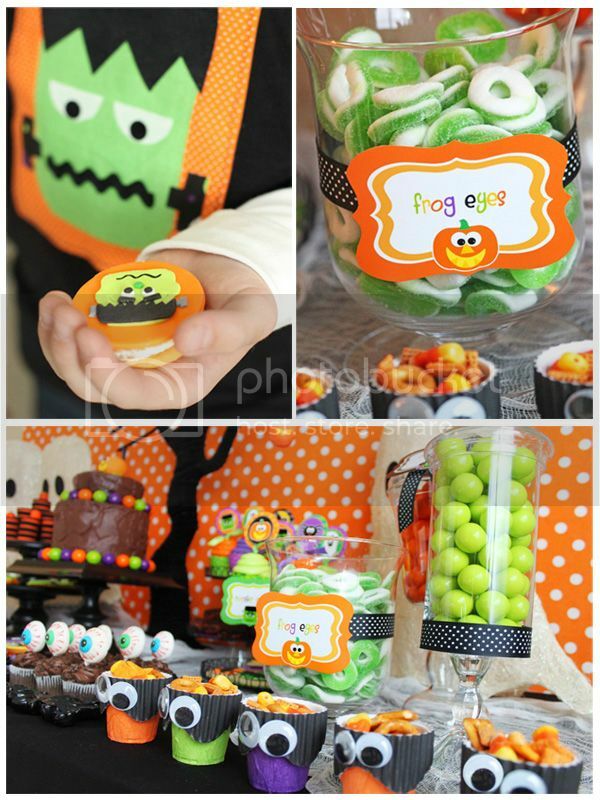 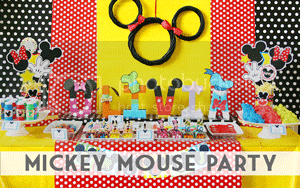 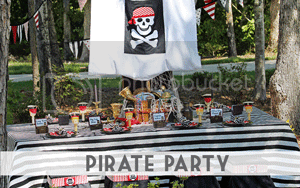 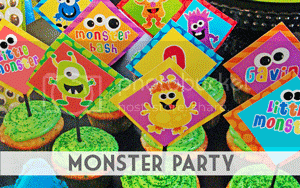 WIth this whimsical, child-like Halloween party, you can find lots of ideas sure to "thrill" and not scare your little ones away. 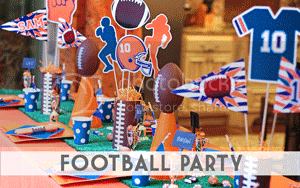 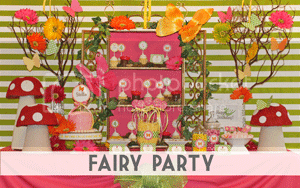 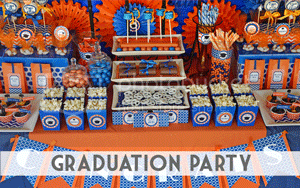 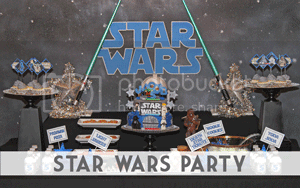 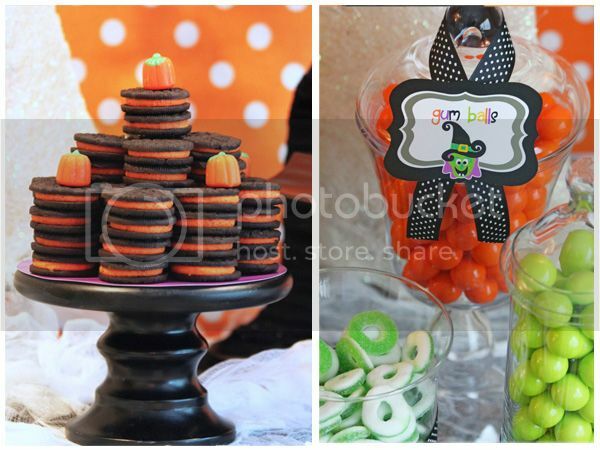 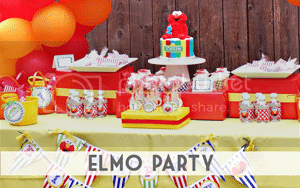 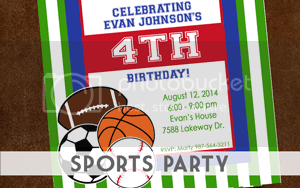 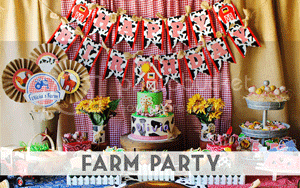 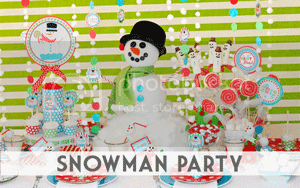 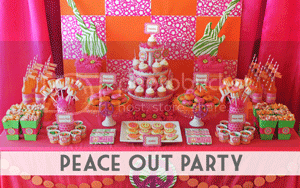 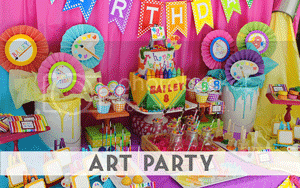 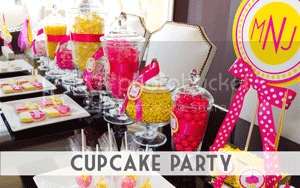 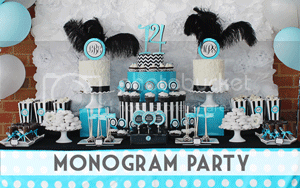 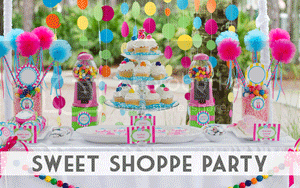 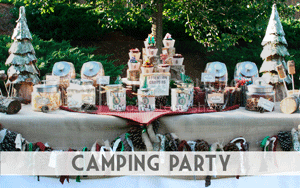 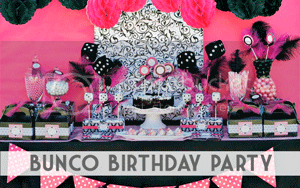 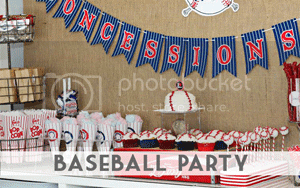 The children were overjoyed to see all of the sweets and goodies at the party table including gumballs and candies, a homemade two-tiered chocolate cake and decorated cookies that I found at HomeGoods. 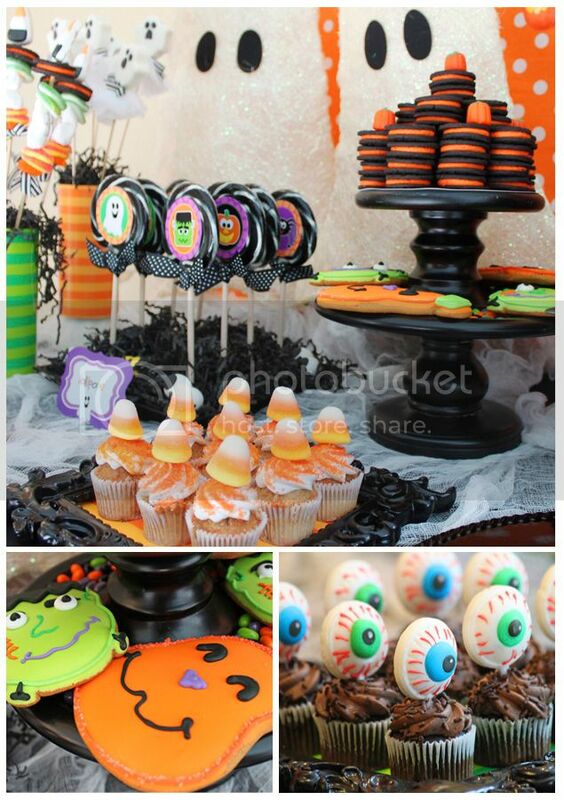 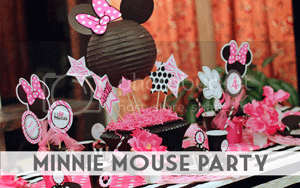 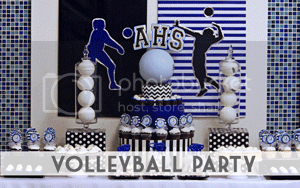 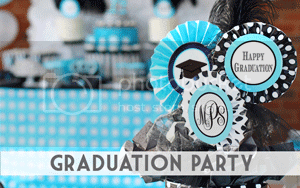 My personal favorites were the cookies with fondant toppers made by Brittany at Edible Details. 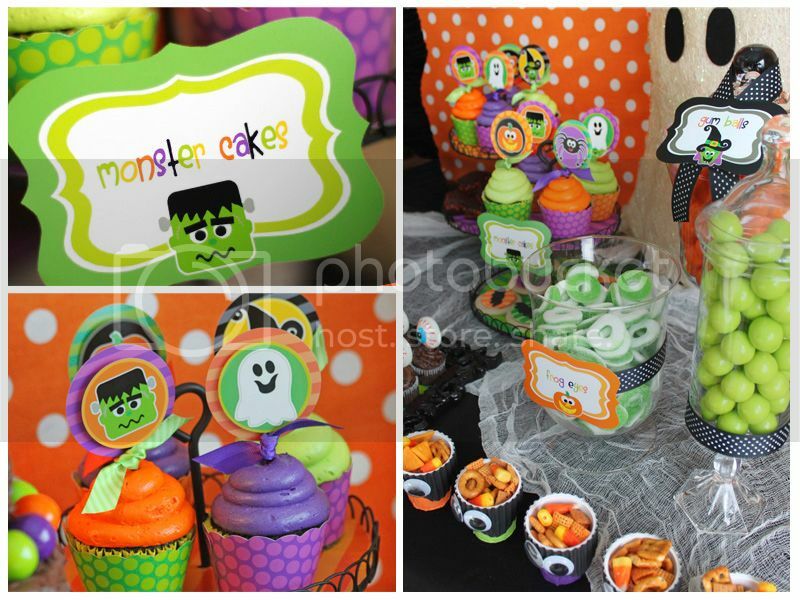 The lady is amazing and perfectly coordinated her creations with the Halloween characters from Amanda's Parties To Go Halloween printable set. 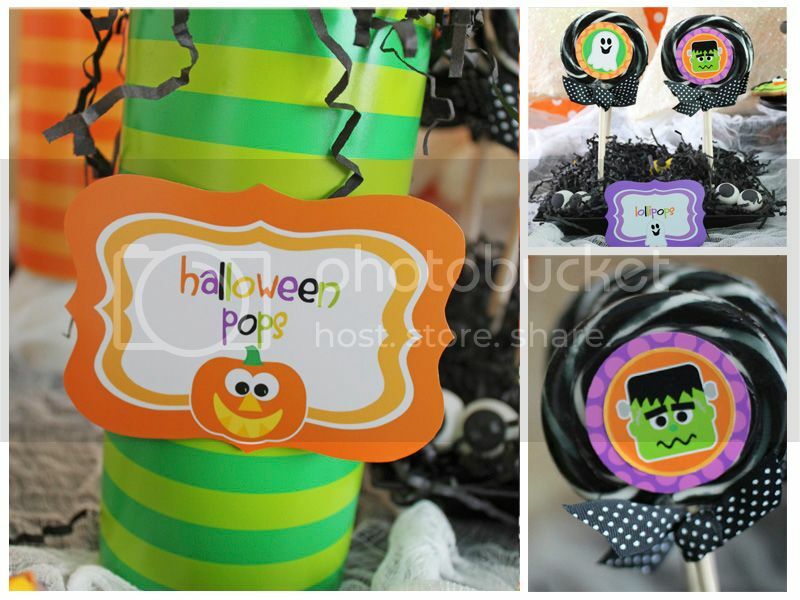 One of my favorites were the OREO GHOST POPS I made using a mold from Spinning Leaf . 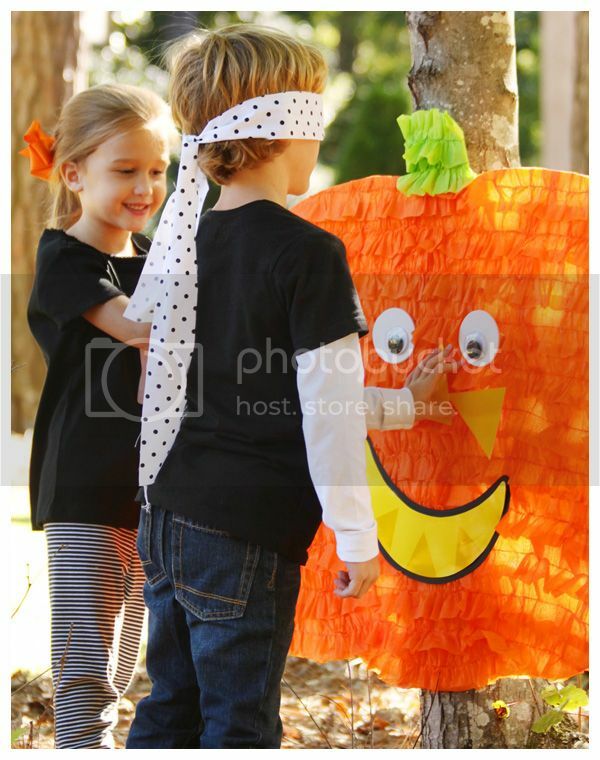 Talk about easy! 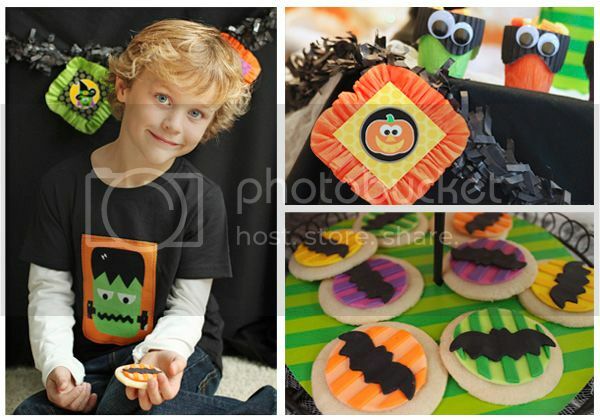 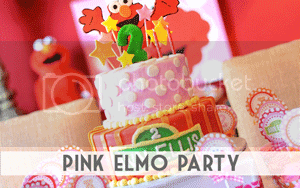 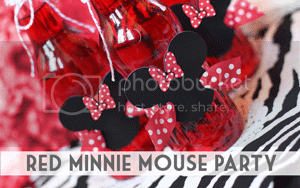 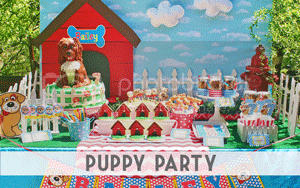 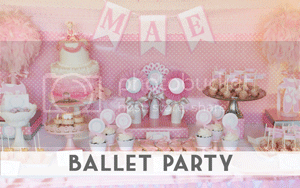 These molds can help anyone make the most adorable treats! 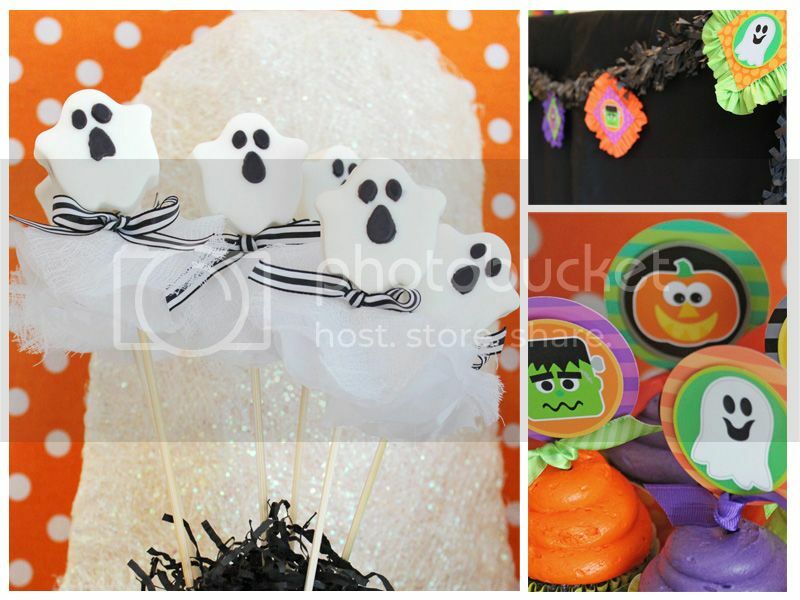 Attaching wooden skewers and adding some ghostly embellishments of cheesecloth and white tissue paper made them even cuter. 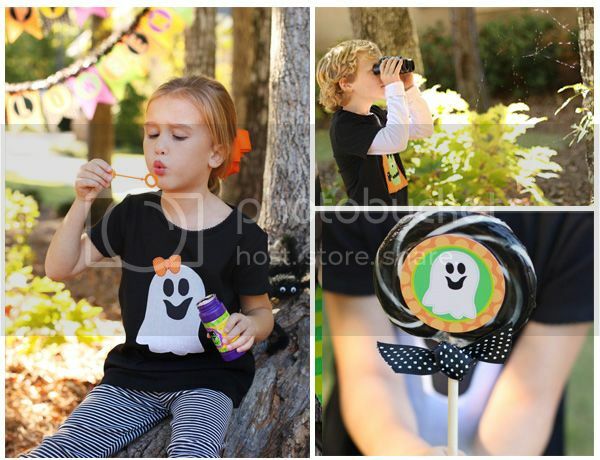 The candy kabobs were easy too, made with ghost Peeps, peach gummy rings, Oreos and a cute little candy corn sucker I found at Michaels. 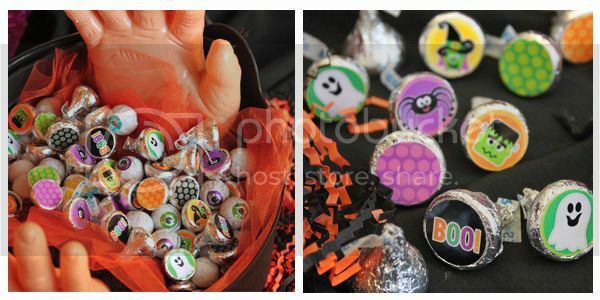 The little stickers for the Hershey's Kisses are actually a FREE DOWNLOAD if you want to make some quick Halloween treats. 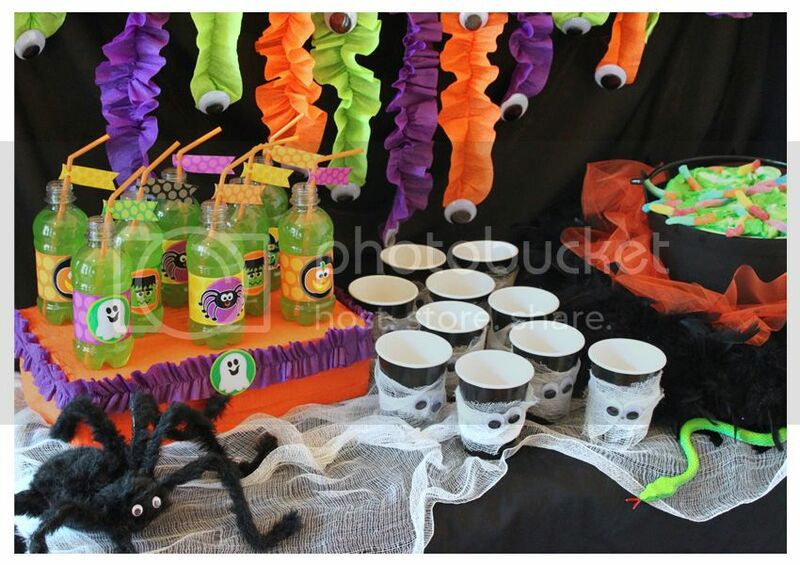 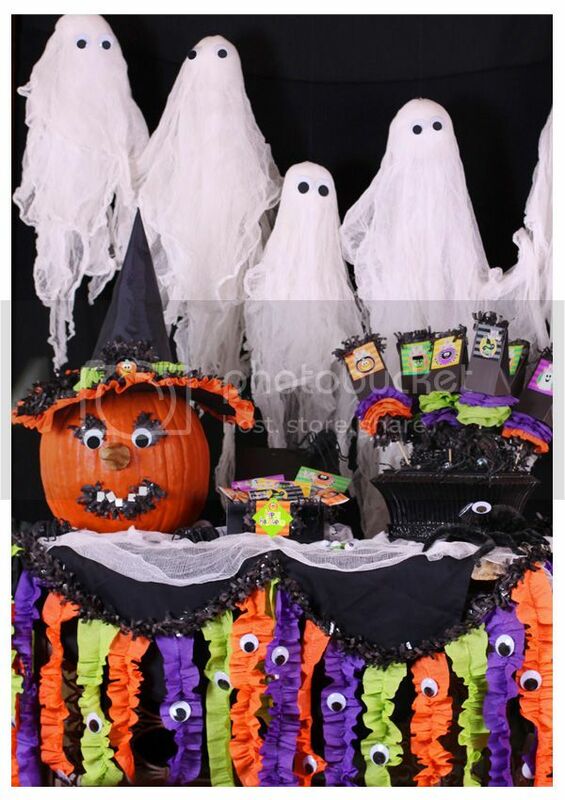 I placed them in a witches' cauldron and added some Dollar Tree hands to make things a little more fun for the kids. 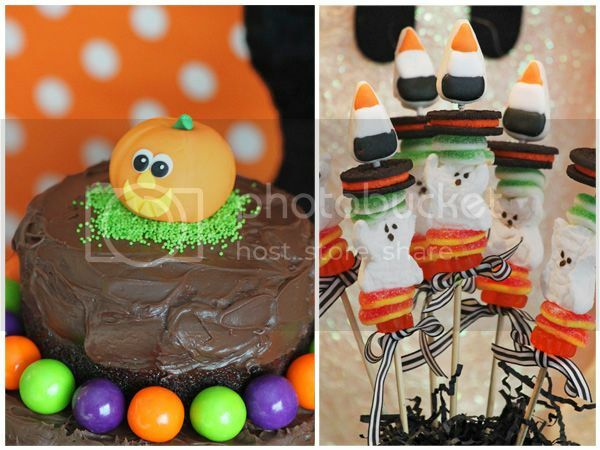 And the chocolate cakes with the orange and black non-pareils are a great little treat that you may find a TUTORIAL FOR HERE. 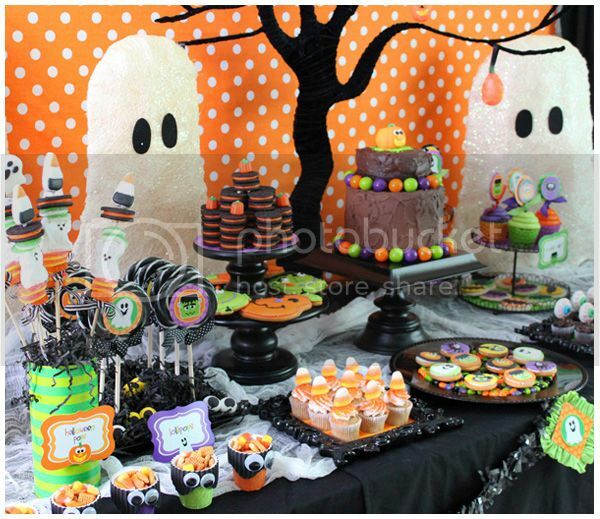 Using a vibrant orange polka dot fabric for the backdrop and some adorable Halloween ghosts I found at TJ Maxx, the party table was sure to not be too scary for even the littlest of party guests. 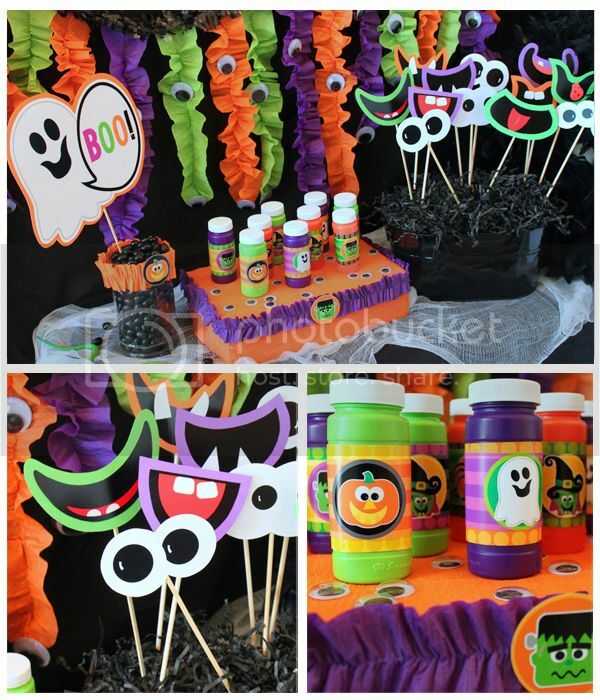 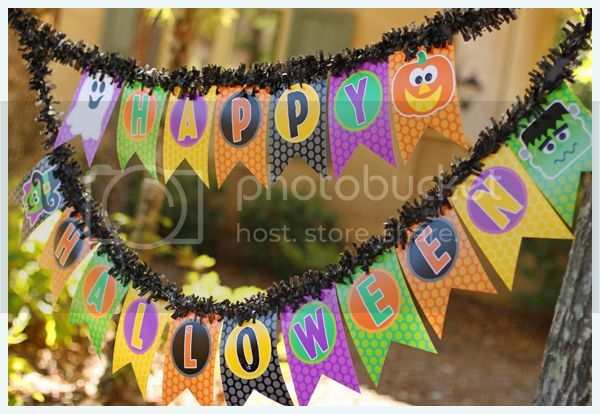 The garland on the table front was created using the Halloween printable logos and matting them with some colorful gathered crepe paper. 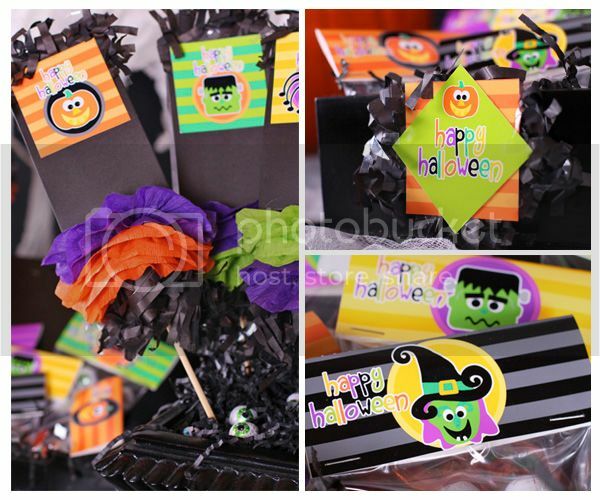 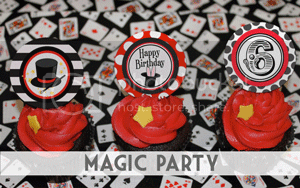 The pieces were then hot glued to black tissue fringe from Sweet Shop LuLu. 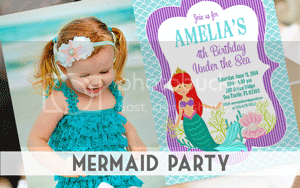 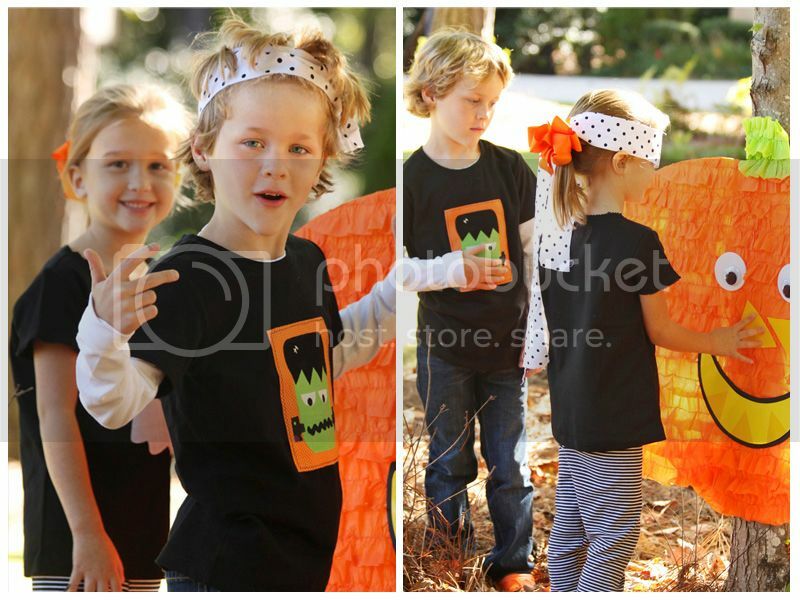 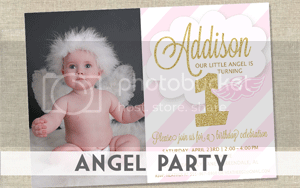 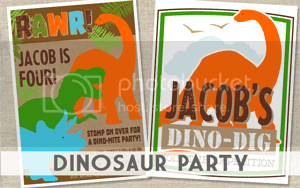 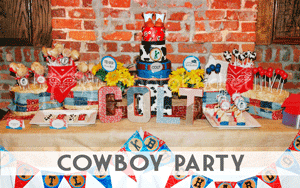 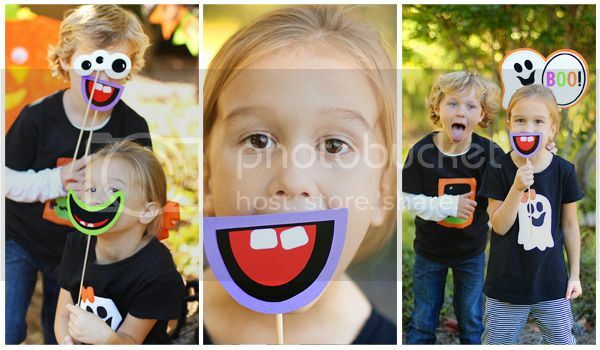 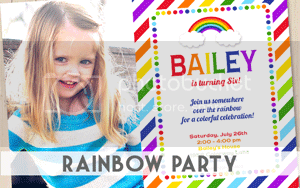 The children's adorable appliqued shirts were made by Little One Boutique and couldn't have been cuter for the party.